Architects should be sensitive to the responsibilities that come with the profession. We specialise in customised, crafted design, nothing is standard – everything is exceptional! 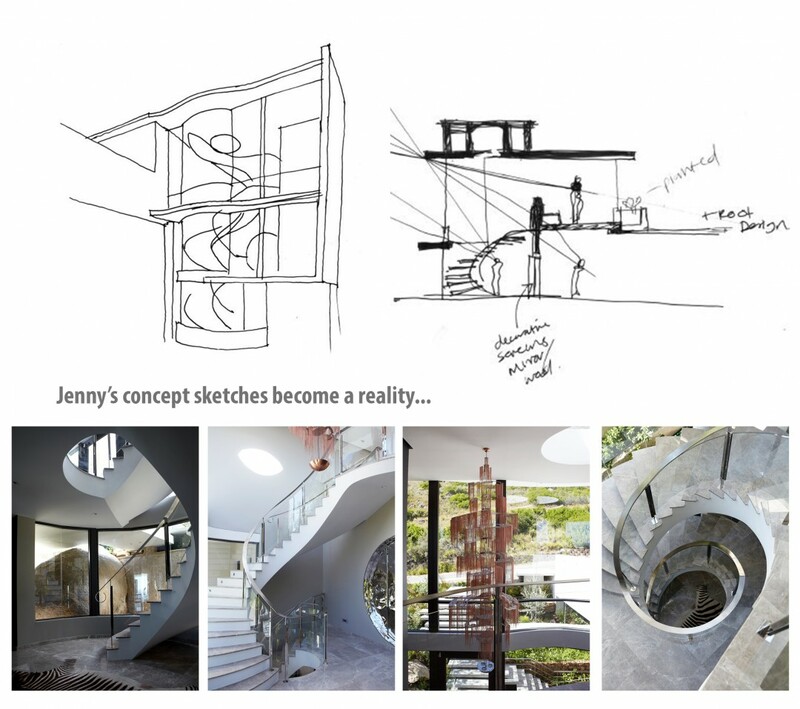 Jenny has an intrinsic architectural technique, yet she is adept at collaborating with her clients, at establishing a design dialogue that ensures that their needs and desires are captured by the built form. Jenny has immense attention to detail and is a perfectionist who will ensure quality of work. She is not afraid to get her hands dirty and will be on site every week to give it special attention and make sure everything goes according to plan, to deal with any on-site complications ensuring the design is not compromised. Design based meetings where we work with you to create a design that suits your personal taste and needs. Drawings and sketches of room layouts, interior design and detail design drawings. Acting as the principal agent to manage and see the project through to completion.